The hAP ac² is a Dual-concurrent Access Point, that provides Wifi coverage for 2.4 GHz and 5 GHz frequencies at the same time. Five 10/100/1000 Ethernet ports provide Gigabit connections for your wired devices, USB can be used for external storage or 4G/LTE modem, and device supports IPsec hardware acceleration. New design universal case allows unit to be positioned either horizontally (desktop) or vertically (tower case). Wall anchored mounting kit is provided. 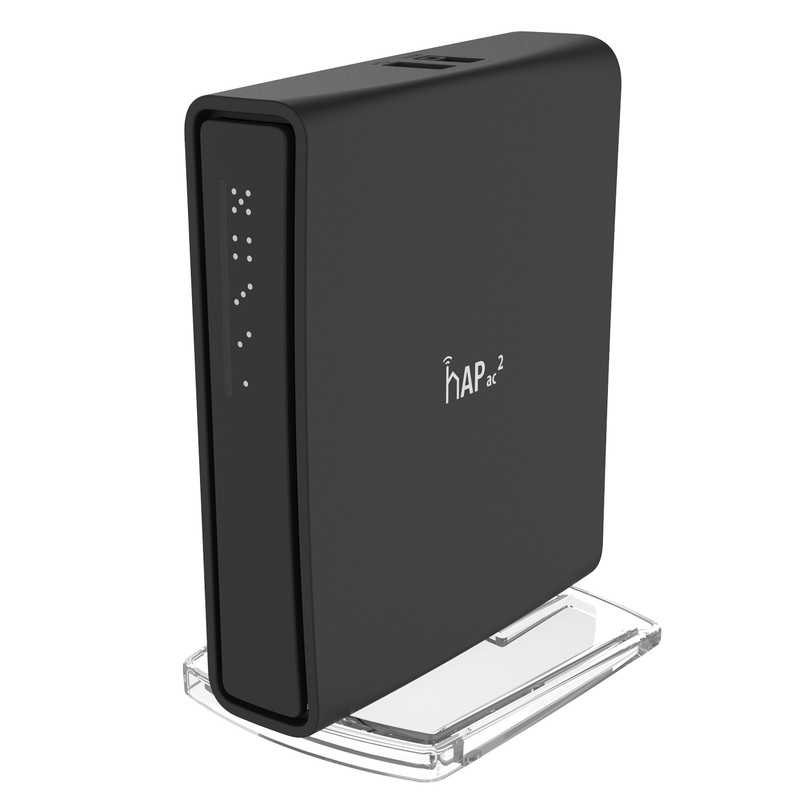 hAP ac²-US (USA) is factory locked for 2412-2462MHz, 5170-5250MHz and 5725-5835MHz frequencies. This lock can not be removed.